WE'VE never had so much choice when it comes to discovering our inner truckie. Ram Trucks has arrived after right-hand-drive re-engineering, offering Laramie 2500 and Laramie 3500 4x4 Crew Cab heavy-duty pick-ups able to haul the tonnage only these American pickups can manage - around double, for example, what your Aussie Ford Ranger can legally manage. Deliveries across the country have just begun, and we were able to snare a day's test drive in a 2500 model (the 3500 requires a truck license) from Sunshine Coast dealer Cricks Nambour. 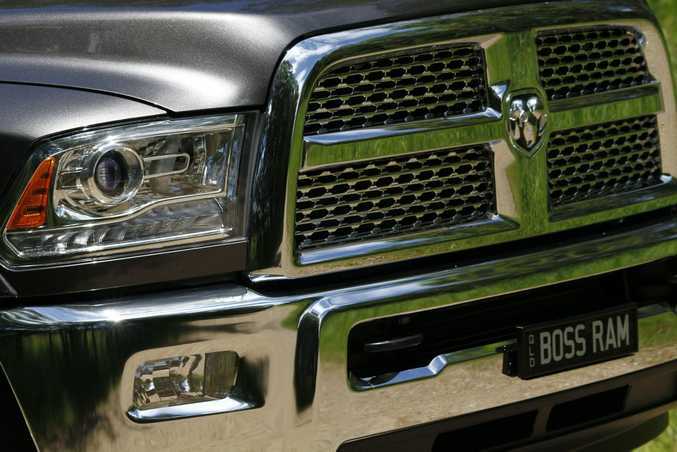 Ram Trucks enter the arena against established imported and converted American truck competitors, and it has been an impressive multi-million-dollar exercise. 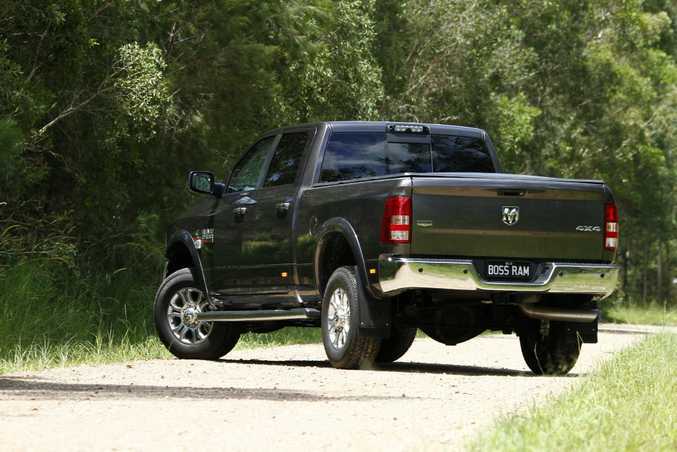 In a nutshell, Walkinshaw Automotive Group and Ateco Automotive (importers of Maserati, Lotus and Chinese brands) have combined to create distributor American Special Vehicles (ASV) to sell right-hand-drive Ram trucks in Australia. Walkinshaw remanufactures the Rams to RHD on purpose-built production lines in Melbourne that "meets the engineering standards, quality and refinement of the LHD product", while Ateco brings its import, distribution, network, sales and marketing know-how to the party. 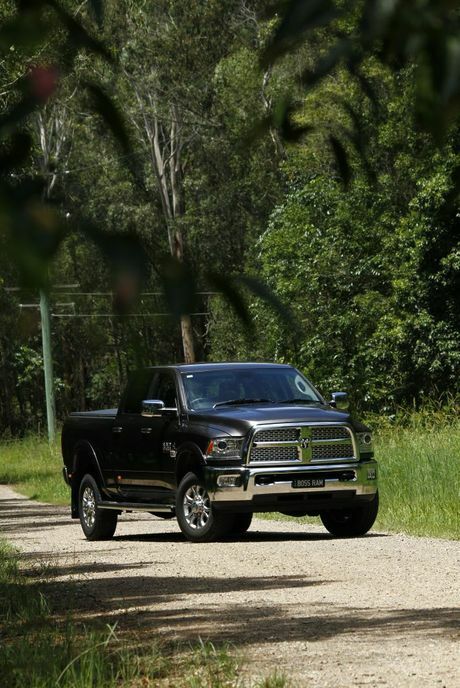 The ASV Ram Trucks are produced with full volume import approval, meaning that they are compliant with Australian Design Rules and will be the sole importer of Ram models covered by that approval. 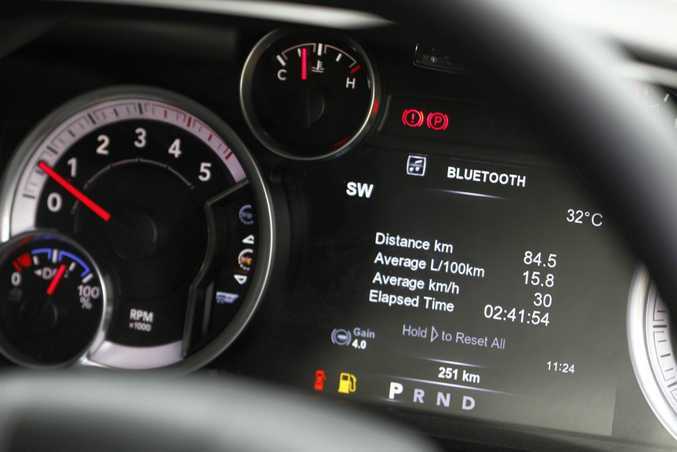 In addition, Ram Trucks come with a 3-year/100,000km warranty with roadside assist, have passed the ADR crash test (although this wasn't required), and the brand already has 18 dealer sites nationwide. 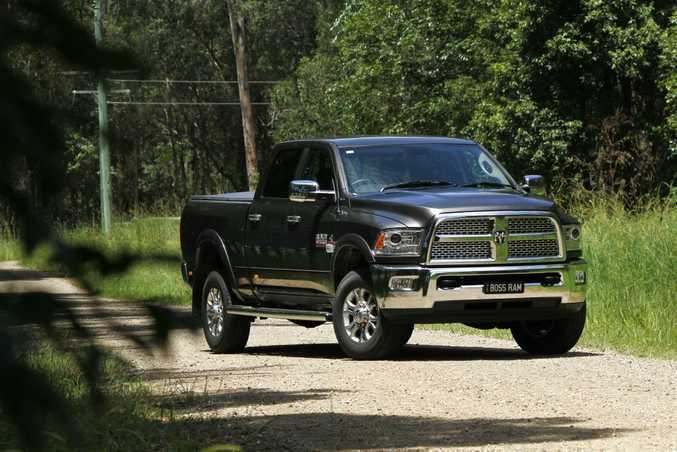 "Our customers are excited to have Ram Trucks that are purpose built and designed for the Australian market, backed by a full factory warranty," said Cricks Nambour general manager Dan Hunt. Mr Hunt said typical buyers were those needing to tow larger caravans, horse floats, boats or cattle. Payload for the 2500 Laramie is 913kg (1713kg for the 3500) and the braked towing capacity using a pintle is a mighty 6989kg (using a 70mm ball you can still haul 4500kg). The 2500 Laramie we tested is $139,500 before on-roads (meaning about $147,000 drive away), or add $6000 for the even heavier duty 3500. Key to buyers is the quality of the RHD conversion. ASV has designed the Rams to mirror the factory-sourced LHD variants to exacting standards, sourcing the likes of a RHD steering system from the same company that make the LHD equivalents. The dashboard in particular looked factory-good - there are no gaping cracks, squeaks or the smell of fibreglass to fear here. 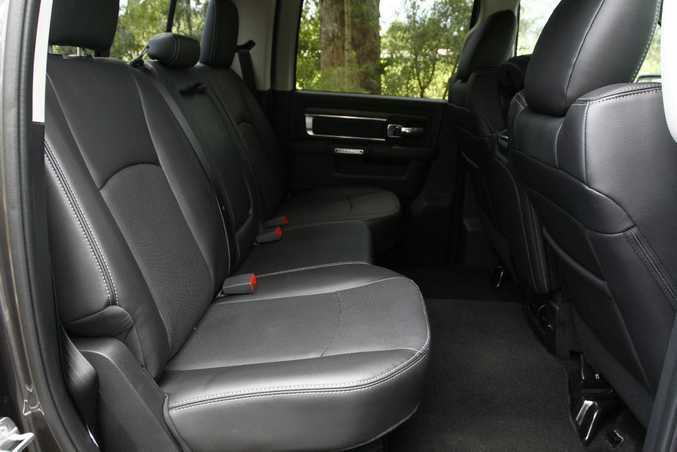 Leather seats are huge and cosseting for lengthy journeys, and the RHD foot well has been enlarged slightly, but your resting foot is still a tad cramped - nothing uncommon though for converted vehicles. Such is the high specification the Ram is a premium feeling place to work. Its vastness means the layout is uncluttered, the touch screen an impressive control unit, and the only grumbles being a foot brake (not a handbrake) and huge column shift extending too far towards the window, making shifts a tad awkward. it's hardly civilised in the modern sense of things, but you've got a 6.7-litre Cummins truck engine hauling more than 3.5 tonnes of American heavy-duty pickup here. And what an engine. The 1084Nm of torque is stunning, propelling the brute in beastly fashion and making it ideal for larger tow jobs. The 2500 is coil sprung (the 3500 leaf sprung) so ride is quite comfortable (if bouncy with no load in the back), and cabin insulation impressive. The hardest part is making it fit on the narrow roads through town; while parking and turning a six-metre long truck ain't easy, obviously. These aren't the cheapo, stripped-out, entry-level trucks available on the American market, they're impressively loaded. Leather trim, heated and air-conditioned power seats, heated steering wheel, dual-zone climate, 8.4-inch touch screen, bluetooth and hands-free voice command, navigation, a cinematic quality sound system (it's incredible), electronic vehicle info centre, 240v Aussie plug point, rear view and cargo camera, power adjustable pedals, sunroof and rear sliding window, trailer sway dampening, dash-mounted trailer brake controller and diesel smart exhaust brake. You also get 18-inch alloys, keyless entry, cruise control and very cool remote starting. 6.7-litres of American Cummins diesel won't please the tree huggers. With no towing weight we returned 15.8-litres/100km on our day long test, but this included a fair bit of town driving. Fuel tank is 117-litres, and you'll need it. 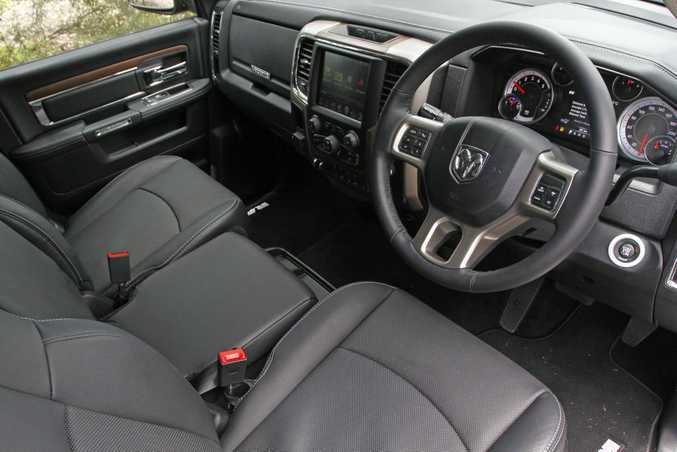 Towing seven tonnes is the main practical benefit, but the sheer cabin space is also a winner. The bath-like centre console flips over to become a third front seat, and the three rear seats give occupants almost limousine-esque head and leg room. Storage would be a drug-runner's fantasy. 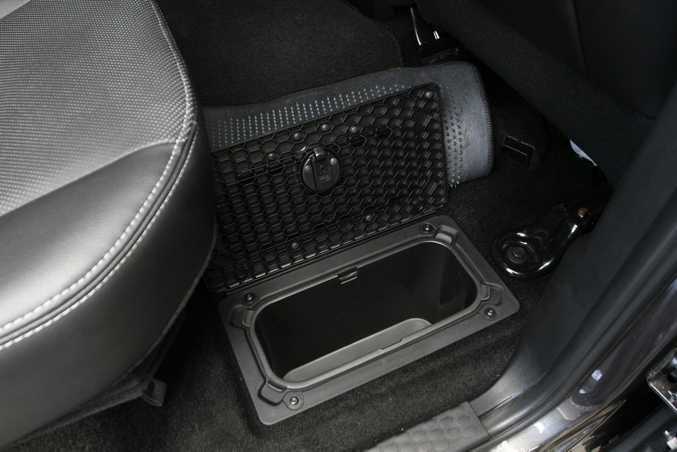 There's the front seat cargo area, two glove boxes, huge bins in the front doors, hidden rear in-floor storage bins under the carpet and the rear seats fold up or down for level floor hauling. There are child seat anchor points for the rears, but they're not easy to access. Look to Performax's varied range which includes the Chevrolet Silverado, Ford F-250, Toyota Tundra and GMC Sierra Denali, while Harrison F-Trucks offer the full range of heavy duty Fords, from F-150 to F-550. All American trucks get you noticed on our shores, and the Ram isn't short of the required sea of chrome and muscled high riding nature. 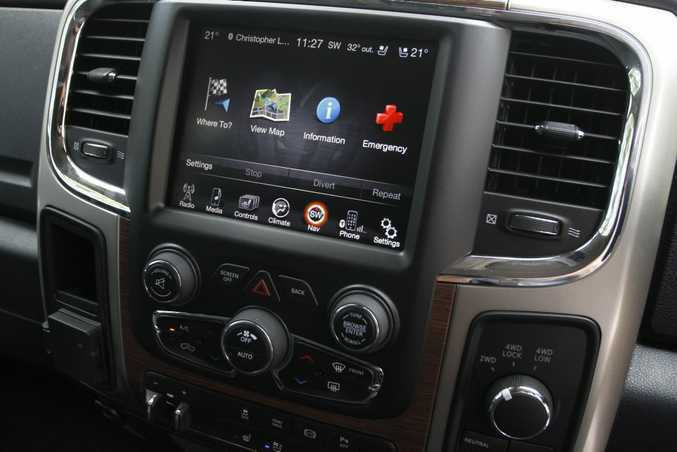 Ram Trucks and ASV aren't doing things by halves here; the organisation looks well set-up to deliver strong product with the 2500 and 3500 Laramies and customers will be assured by the factory warranty and large dealer network. The RHD conversion looks high quality, as we'd expect of Walkinshaw. 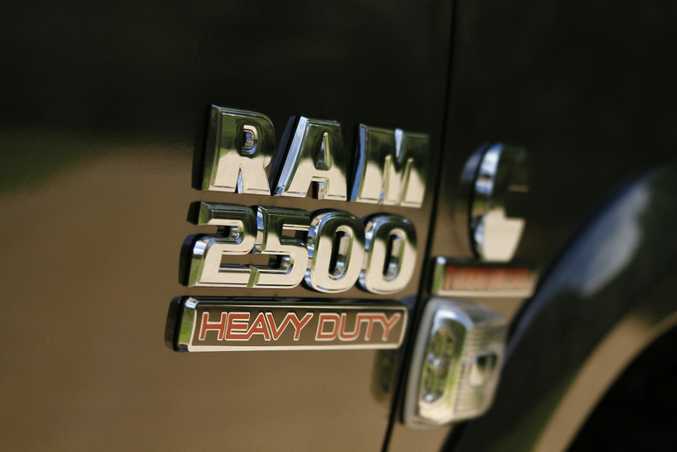 The truck itself has massive towing ability at the heart of its appeal (as do all American heavy duty pickups); the Ram with its 6989kg towing ability is cheaper than its F-Truck rival and has an impressive high level of specification and cabin comfort. Shoppers in this market know its limitations - trucks this mighty don't have the cornering ability, ride quality, manoeuvrability and ease to live with as our one-tonne pickup market - but will appreciate yet another potential high capacity hauler choice with these Ram Trucks in the ever-growing heavy-duty segment. What we liked: Impressive conversion quality, incredible engine torque, towing capacity, seating for six, storage, high spec, Godzilla-esque road presence. What we'd like to see: A proper handbrake rather than footbrake, better placement of the column shifter, more active safety features such as lane keep and blind-spot monitoring, steering and ride to be less truck-like - but you can't beat physics. Warranty and servicing: Three-year 100,000-kilometre warranty and roadside assist. 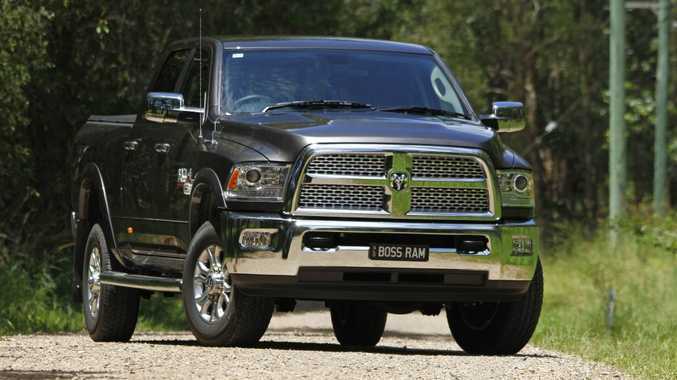 Model: Ram Trucks Laramie 2500 4x4 Crew Cab. Details: Four-door four-wheel drive giant American pick-up truck. Engine: 6.7-litre inline six-cylinder Cummins turbodiesel generating maximum power of 276kW @ 2800rpm and peak torque of 1084Nm @ 1600rpm. Transmission: 6-speed column shift automatic. 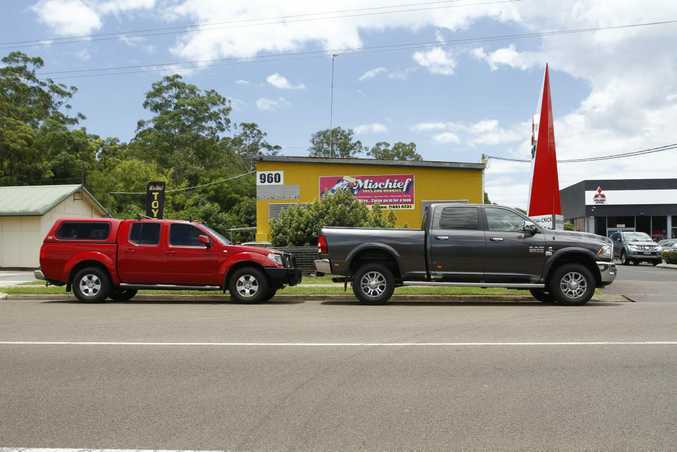 Bottom line plus on-roads: $139,500 before on-roads ($6000 more for 3500 version), from Cricks Nambour, cricksnambour.com.au, 5441 9500.